Due to my pulling a muscle or pinching a nerve in my back last week, and due to the excessive heat and humidity we've been experiencing, my photography has been pretty much non-existent lately. Yes, it's very depressing. However, it will get better. I'm sure of that. For one, I've got an appointment for my back to be 'worked on' or 'manipulated' (whatever you want to call it) tomorrow. For another thing, it can't stay extremely hot and humid forever... right? RIGHT??? Work with me here! I took this photo down the road... a walk I hadn't taken for quite a very long time, but the reasons for that are a whole 'nother post. Anyway, I felt comfortable walking down my road again, and I shot this image. It's hay season... and since we've had so much rain, the farmers are jumping in their tractors and speeding to the fields just as soon as they see a couple days of no rain in the forecast. This hay is stacked across the road from the dreaded water tower I've complained about in previous posts. The water tower that caused my deer to be scared away from their favorite place when it was being erected. The water tower, complete with security cameras, which you can see from several towns away. Yes, I did take a photo of the water tower that evening, but the image wasn't nearly as beautiful as this one. Sorry to hear you've has some pain.. and yes your right!! 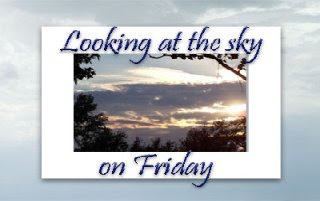 Change is in the air .It is up here in Canada. Love your Image.!!! Hope you feel well soon and can get right back out there. I know I have been there too at some point and time and sure I will be again and when I am I hope you work with me too. Keep Smiling. The feeling is peaceful, the work involved with the hay baling is now gone. 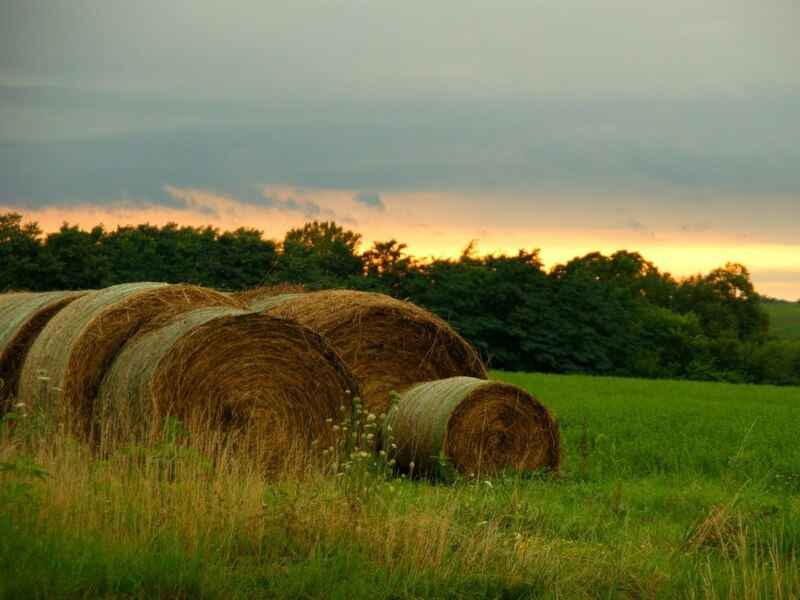 So the earth and sky are quiet now, the hay soothing in its soft sepia color and the yellow sky easy on the eyes. Very nice! Sorry to hear you're having pain. Hope you're better soon. The photo of the hay rounds has the most beautiful light. Very pretty and pastoral. I love this shot. 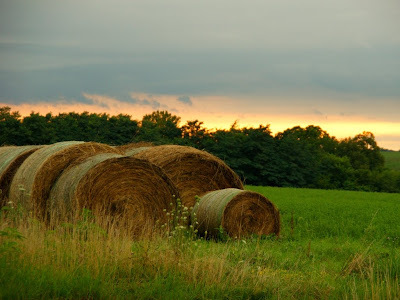 I reminds me of the hay rolls that were in the side of the road as I was growing up in Lancaster County, PA. Beautiful! Sorry to hear about your back Misty. Feel better soon. This photo is so very pretty. Just love it! It's good to hear you're going to the doctor! I love, love, love this photo !!!!!!!!!!!!!! Who Else Can I Get to Move Here? ABC Wednesday *E is for Equipment"